Building the future of virtual and augmented reality. 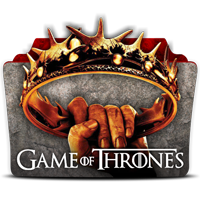 Created new HBO entertainment experiences for people and devices worldwide. 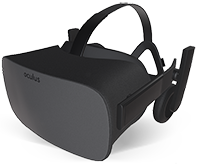 Prototyped a wide variety of applications, with a focus on virtual reality storytelling. Oversaw the delivery of all educational content for Xbox One, including hundreds of: sample C/C++ code projects, white papers, tutorials, videos, and slide presentations. Coordinated developer events to bring thousands of developers up to speed on Xbox One technologies, producing a regular series of events worldwide, hosting professional console developers and delivering dozens of hours of technical presentations. Managed Microsoft's all-up presence, budget, and divisional coordination at the Game Developers Conference, an annual event for 25,000 game developers, including Microsoft's presence in conference content (40 hours in 2013), booths, exhibitor space, meeting rooms and hosted parties. Oversaw the coordination of research and development projects for new techniques only possible on Xbox One and the Xbox One Kinect sensor. Coordinated and delivered monthly internal reports on the state of Xbox One development leading up to the launch of the product, including tracking leading indicators such as support caseload, development site page views, hot forum topics, downloads, and more. Wrote the Xbox One developer blog, a weekly -- and sometimes daily -- update on topics relevant to developers creating launch titles. Oversaw support and coordination for the Xbox Live Indie Games program on Xbox 360, including the Dream.Build.Play contest, the XNA/DirectX MVP program, developer support and PR coordination. Official spokesperson for Microsoft representing the game developer divisions at Microsoft, working with internal/ external PR companies and press organizations to deliver developer messaging. See GameZone article for one example. Managed a multi-million dollar team budget. Shifted roles from programming to program management, coordinating the delivery of all game development tools for Microsoft platforms, as well as overseeing all technical documentation for game development products. Managed a team of 20 program managers and technical documentation writers. 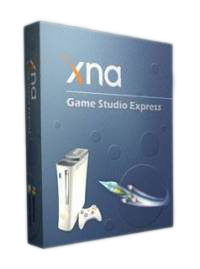 Oversaw the XNA tools team, updating the XNA Game Studio product, content pipeline, and Xbox 360 Software Development Kit (XDK) Extensions. Oversaw the compiler and debugging team, creating the Xbox 360 C/C++ compiler, linker and debuggers used daily by all Xbox 360 developers. Oversaw the performance tools team, working on industry-regarded tools such as PIX, the Performance Investigator for Xbox. 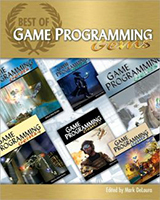 Oversaw the technical documentation team, creating API docs, white papers, tutorials and other online education components for Xbox 360 and Windows game developers. 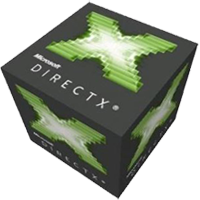 Delivered quarterly technology updates to the Xbox 360 XDK and the DirectX Software Development Kit, used by tens of thousands of game developers worldwide. Created long-term game developer strategy for Xbox platform, many portions of which were integrated into future initiatives. Internal developer spokesperson for Kinect launch titles, ensuring hot developer issues were tracked and addressed. Led a large team of software engineers creating the low-level technology used by all Xbox 360 and Windows games. Managed a team of 30 software development engineers. Responsible for hiring, budget, reviews and team direction. Oversaw the graphics engineering team, creating 3D graphics libraries for Xbox 360 (Direct3D). Oversaw the audio engineering team, creating audio libraries for Xbox 360 and Windows (XAudio). Oversaw the input engineering team, creating input libraries for Xbox 360 and Windows (XInput). Oversaw the networking engineering team, creating transport and online technologies for Xbox 360 ( Xbox Live). Delivered monthly technology updates to the Xbox 360 Software Development Kit (XDK) and the DirectX Software Development Kit, used by tens of thousands of game developers worldwide. Led a team of software engineers supporting game developers on Xbox 360, Windows and other Microsoft gaming platforms. Team mission: "Game developer support, performance insight and technical illumination." Managed a team of 25 software development engineers. Responsible for hiring, budget, reviews and team direction. Worked directly with hundreds of professional game developers around the globe ensuring their games took full advantage of Microsoft technologies. Partnered with account management teams to direct team engineering resources onto high profile games, evaluating game performance issues, optimizing game code and getting titles released successfully. Oversaw game developer support initiatives, including oversight of internal tools and developer-facing portal. Directed research and development efforts designed to improve the lives of game developers. 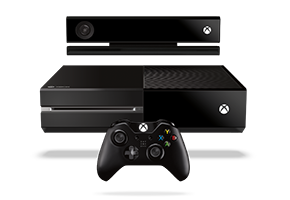 Led a team of software engineers working on Xbox and Xbox 360 research and development, performance issues, game technology and tools. Managed a team of 10 engineers. Coordinated and created example Xbox game code for inclusion in the Xbox Software Development Kit (XDK). Coordinated and regularly presented at Xbox development seminars, game conferences and other Xbox-related events. Specialized in storage, networking, online technology, and Xbox certification requirements. Drove code conventions and other best practices across Xbox teams. Authored numerous developer white papers on a wide range of topics from Xbox Live issues to storage best practices to game networking. Internet and client-server developer for Emerald City Technologies, a company that created massively multiplayer 3D games and game technology. 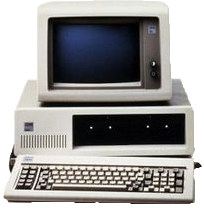 Network engineer for back-end server and download technology used by Emerald City products. GUI client engineer for Windows front-end application. Chief architect for Emerald City base C++ library. Designed and programmed STL wrappers, generic exception handling mechanisms, standard file and HTTP logging technology, and XML parsers. Helped standardize all software libraries, tools and applications on the Unicode character set for all platforms, with an efficient translation layer to hide the conversions on non-Unicode platforms. Created various COM controls used by Emerald City servers for rapid IP address lookups, encryption, secure hashing, and key generation. Automated nightly builds and library component testing. Automated generation of HTML documentation from C++ source code. Internet gaming developer. Enhanced existing lobby-based software designed as the entry point for dozens of existing Win32 multiplayer games. Used by over 10,000 players on a daily basis. Lead developer of WONplay, a web-based technology for downloading and launching multiplayer games with a single click. Initially rolled out with Hoyle casual card and board games; later used for Bezerk games like Acrophobia. Created smart downloading technology that used compression, customizable filters, background threads and other methods to minimize download times and get players into games faster. Generated a strong banning mechanism to uniquely identify a PC and allow WON to lock-out online miscreants. Created authentication client DLL designed for peer-to-peer authentication and encrypted messaging with WON servers. Optimized size from over 500K down to 90K. Documented the WON game API that outside companies used to create WON-enabled games. Developed Internet utilities, including a Win32 application that can be launched from a website via a Java applet or ActiveX control. Helped engineer Internet communications library for thin and robust high-speed game transmissions in 3D multiplayer games. Lead engineer and systems architect of HyperBole�s VirtualCinema high-performance media playback engine. Managed a six-person team that used object-oriented solutions and leading video, graphics and database technologies. Championed standard coding conventions and defensive programming techniques. Helped educate management on the vagaries of software development. Engineering lead for The X-Files Game, released on 7 CD-ROMs for Windows and Macintosh, 4 CD-ROMs for PlayStation, and localized into six different languages including Japanese. Over 1 million copies sold. Game postmortem. Architected and developed HyperBole�s cross-platform C++ code base (250,000 lines of code) to support Windows 95/98, Windows NT, Mac OS and PlayStation platforms. Created coding specifications and engineering requirements, task estimates, project schedules, code measurements and weekly status reports. Generated code library technical documentation, game docs and release notes for QA and technical support. Created highly optimized C++ template classes for standard containers, lists, stacks, queues, smart and auto pointers in the days before the C++ Standard Template Library (STL) was widely available. Profiled and optimized critical sections of the game engine, including dirty region clipping, memory allocation routines and graphics blitting loops. Assisted the PlayStation port team in assessing porting feasibility, generating project estimations, and performing ongoing technical reviews. Programmer for both Quantum Gate (single CD-ROM; released in 1994) and The Vortex (three CD-ROMs; released in 1995). Programmed a large-scale multiuser database application for seminar and meeting management. Helped create and upgrade reusable software modules built on a powerful database library. Designed and coded a large portion of MeetingPro 3.0, a DOS application, including the graphics routines, list boxes, and standard data entry fields. Developed a new standard interface for the software that increased typical user productivity by 30%. Documented all technical aspects of the product for in-house use and created a full set of database benchmarks. Coordinated beta programs with customers, elicited user feedback and answered technical support calls. Network supervisor and hardware troubleshooter for 25-workstation network.